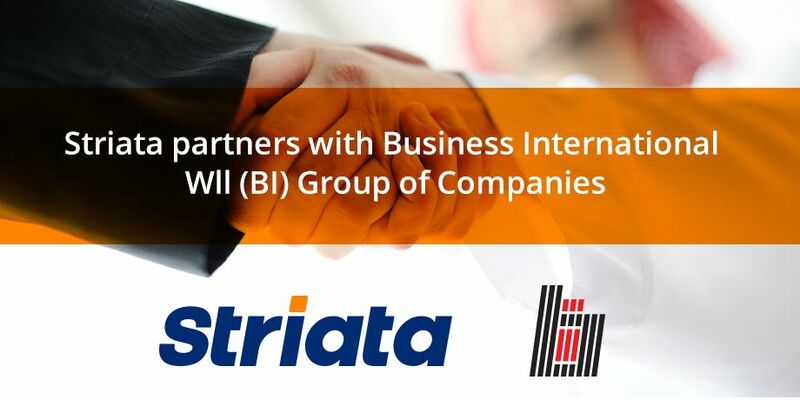 Striata has partnered with Business International Wll (BI) Group of Companies – an exclusive distributor of all Xerox products. The partnership will allow Business International to add interactive electronic document delivery to its current document management solutions. “We are delighted to welcome Business International as our partner in Bahrain. It has a strong customer base and a great understanding of the local market. The addition of Striata’s secure document delivery to their solution set will add real value to its customers,” says Keith Russell, Director, Striata – Asia Pacific. Business International provides document management and print services to utility, government and financial institutions in Bahrain. It will be including Striata’s secure electronic document delivery solution as a new service offering. “We look forward to working with Business International to help drive current and prospective customers in Bahrain toward paperless communications. This in turn will yield the highest levels of efficiency, decreased costs, and an overall enhanced customer experience,” concludes Russell. Business International Wll Group of Companies was setup in 1985 as an exclusive distributor for all Xerox products, run on similar lines of any other Xerox operation across the globe, maintaining its high standards of Quality, Service and Customer Satisfaction. Today after more than 2 Decades in business we are honored and proud to have gained and retained the trust of the best Companies, Financial Institutions, Government and Utilities that populate the corporate landscape of Bahrain. We have demonstrated and are acknowledged leaders in the quality of Service Delivery, Customer Satisfaction and benchmark business processes. We actively seek new ideas, quality check our processes, better our Customer Satisfaction levels with single minded purpose towards delivering world‐class quality to all our valued Customers in the Kingdom of Bahrain.